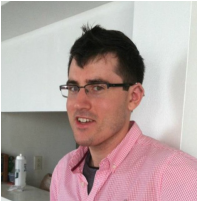 Kyle Campbell is currently a Graduate College Fellow at the University of Vermont, where he is completing his masters in English, writing his thesis on the intersections between madness, sexuality, and the secular in early American literature. Kyle’s interest are in many ways informed by his own experiences of being non-neurotypical, believing that being on the spectrum has helped him to find new insights into culture and literature that may have been overlooked. On the weekends, Kyle works at a residential program with young men on the Autisms Spectrum through the Howard Center. Kyle also volunteers at the Howard Center’s gaming group for many years. Kyle holds a Masters of Science Degree in American History from the University of Edinburgh and a Bachelors of Arts from Saint Michael’s College.